One of the truly fun things about weddings at SF City Hall is virtually any type of wedding dress works. We have seen our share of interesting and unique dresses. We always love it when a bride wears something colorful such as the red dress you see above. Despite being one of the most beautiful wedding venues on the west coast, city hall has one tiny flaw... All of the colors are neutral and so if the bride doesn't bring a bouquet and is wearing a white dress, the photos can look a little monotone. 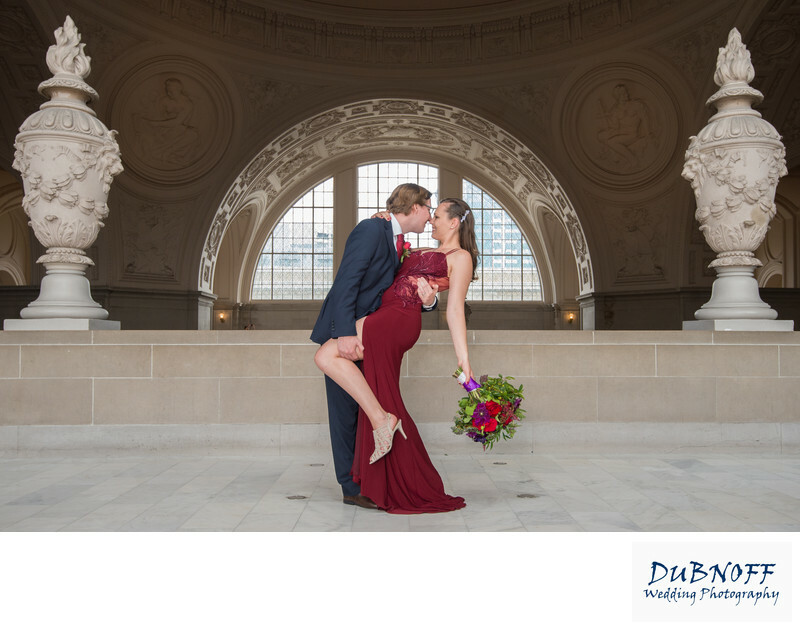 A red dress is the perfect thing to break up the grays and whites of city hall and really make a splash!